Andrea (Andy) Hess has been an A.L.L. consultant since August, 2011. Andy has coached many groups of teachers, literacy coaches and administrators ranging from pre-kindergarten through sixth grade. Some of the districts and schools Andy has worked with include San Juan Unified School District, Sacramento City Unified School District, Buckeye Union School District, Fremont Unified School District, Cupertino Union School District, Houston Independent School District and Turning Point School in Culver City, CA. Andy specializes in helping schools and districts implement balanced literacy effectively and thoughtfully. She enjoys modeling mini lessons, helping teachers plan innovative curriculum and developing powerful and supportive professional learning communities. Andy has extensive knowledge of the Common Core Standards and has worked with educators to help empower them to lift the level of their teaching. Andy received a BA in Clinical Psychology from Tufts University and a Masters in Curriculum and Teaching with a focus on literacy at Teacher's College, Columbia University. She began her teaching career through Teach For America - Americorps program where she taught second grade in the Washington, D.C. public school system. Andy's next position was lead teacher of the third and fourth grade at Friends Community School in College Park, MD. After moving to New York, Andy taught third grade at The Little Red Schoolhouse in Manhattan. In addition, Andy taught at the Children's Museum of Manhattan in the Early Childhood Center and created programs such as puppet shows, story time and even did a brief stint as Snoopy. In 2002, Andy moved to the Bay Area and taught second and third grade at Prospect Sierra School in El Cerrito, where the school's literacy instructional focus was on Reading and Writing Workshop. At Prospect Sierra, Andy took on additional roles such as Professional Development Coordinator, CAIS Accreditation Report Writer, Student Teacher Supervisor, Social/Emotional Health Coordinator and Curriculum Planner. 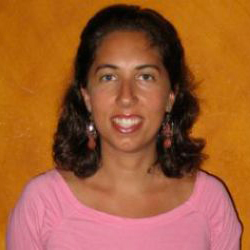 In addition to her consulting work with A.L.L., Andy consults privately, working with schools in the Bay Area. Andy is also a student teacher supervisor for BATTI (Bay Area Teacher Training Institute), affiliated with the University of the Pacific. When Andy is not busy consulting, she balances out her life with yoga, live music, dance and theater and biking with her husband and two young boys, Oscar and Jonathan.